This girl from Australia named Tabatha did something kind of well I would say, extreme! She got KFC's logo tattooed in her inner lip according to the Mirror . Apparently she not only loved KFC but she loves fried chicken and wanted to do celebrate it. Except now, she feels like she should get free KFC chicken for life.
" It would be awesome if they gave me free KFC because of it. Let's see what happens. I really love chicken. All my friends call me the chicken connoisseur. I even named my dog 'nugget', because I'm obsessed with chicken nuggets." Why an inner lip tattoo? Well to pay homage to Kendall Jenner who has a inner lip tattoo and of course, because you eat with your mouth so it makes sense. Do you think this an extreme way to express your love for your favorite food/restaurant? 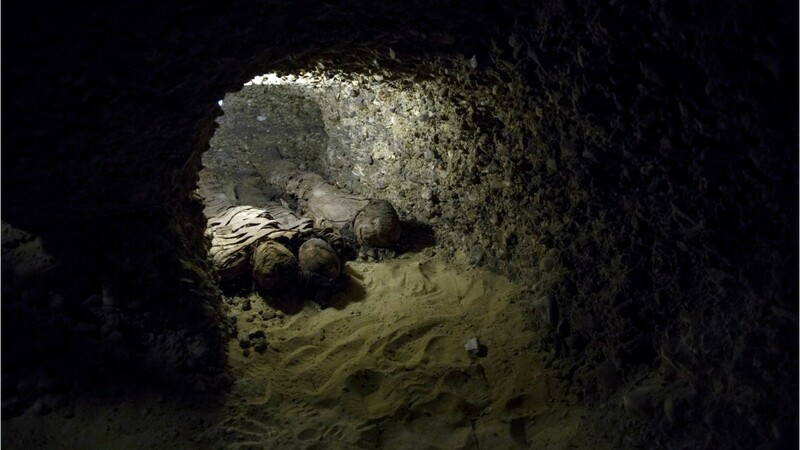 The new discovery features 40 mummies whom researchers believe to be from wealth.